A creative use for an old flower pot! 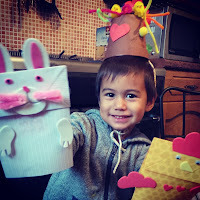 Last week I received a letter from my 3 year old's pre-school that today (Tuesday) there was to be an Easter themed afternoon and children were required to make an Easter hat! After, lots of searching around the house for a suitable hat to decorate I decided to search on the internet. I always thought that Easter hats were more like bonnets and suited to girls. So I was looking for something a bit more masculine for my son! The recycled flower pot as an Easter hat! I soon discovered an object that I had plenty of could be used as a hat - an upside down flower pot! Being a gardening company we have plastic pots coming out of our ears!! and they build up and up. So I ventured to our store of flower pots and my three year old picked out one that he thought would be suitable. 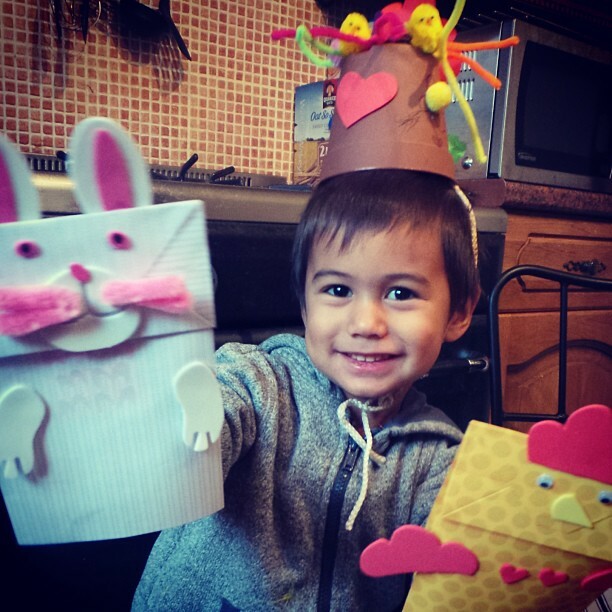 After, a little sticking and gluing he had quite a sweet Easter hat - he is very proud of it!! Although it kept falling off his head during the Easter show- but that's my tying of string skills to blame there! Then, that got me thinking, what are we going to do with the other flower pots- I wonder if there are other uses for them? After a little digging (excuse the pun!!) I found 4 other uses for your old flower pots. get put in the container! Collecting blackberries or small veg and fruit that you pick from the garden. If you go blackberry picking later in the year, you could always use a clean flower pot to store the blackberries as you pick. Then rinse them out when you get home and let the water drain through the bottom holes! You could put your ball of garden string in a plastic pot- poke the end through one of the holes at the bottom then turn it over so you keep it all neat. Pop a clean flower pot in the bottom of the tank and bury the open end in the gravel. It will allow the smaller fish to have a hiding place as the bigger ones won't be able to get through the holes. 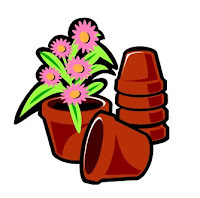 A small flower pot would make a great space to store pens, plant labels, plant ties or other smaller items that may get lost. Well, there you have it. Just a bit of a light-hearted post - but possibly useful nonetheless! Let us know if you try or already do any of the above ideas. 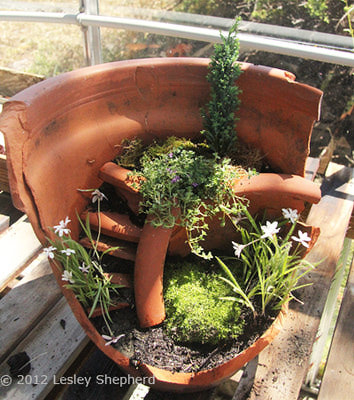 A lovely friend just pointed out to me this idea as well..
A miniature landscape in a broken flower pot. It's from an American website- to find out how to construct one here is the link.